BORONGAN CITY, July 14, 2018–More than five hundred children from four elementary schools in Borongan received bags and school supplies from a group of young people from different countries, who were in town recently. This was part of the outreach program of more than seventy young people of the Focolare Movement, who were on their one week post Genfest outreach program in Borongan. 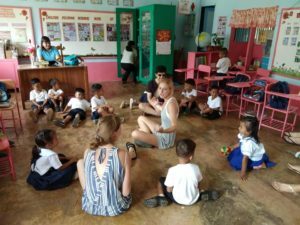 They visited the elementary schools of Canjaway, Punta Maria, Maypangdan and Catian, where they conducted a literacy program in coordination with the Eastern Samar State University’s College of Education. 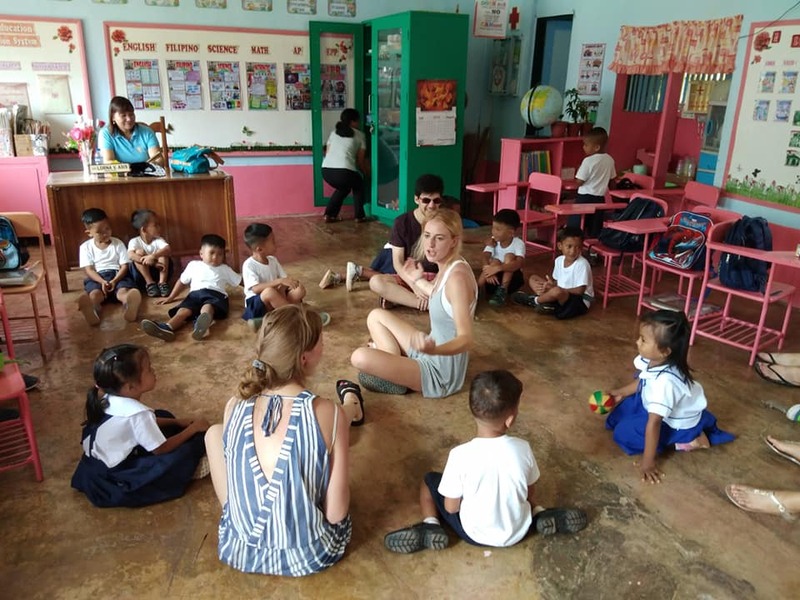 The group interacted with the children, and shared food with them, at the same time, taking time to visit the beaches, islands and other sights in the city, and experience the culture of the local communities. 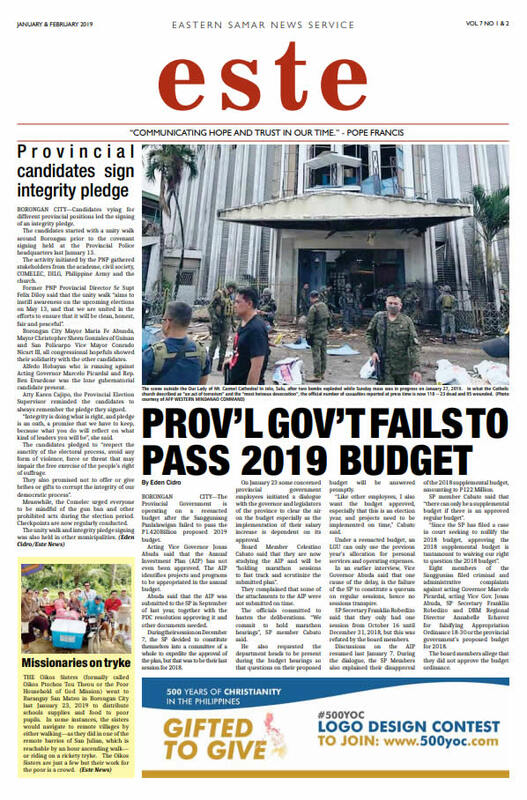 They were supposed to visit communities where projects and programs are being implemented by the Social Action Commission of the Diocese of Borongan, but did not push thru since the sites were in remote barangays. But they were given an orientation of these programs. When the group asked Fr. Juderick Calumpiano how can they help, he said that support for a scholarship program for needy children would be welcome. These young people were a part of the more than 6,000 people from all over the world who gathered from July 6-8 in Manila for the 11th Genfest, the international youth festival of the Focolare movement.